We are an enthusiastic grounds maintenance and landscaping company operating through-out West London and the Home Counties. 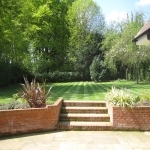 Sycamore Landscape Services is owned, run and managed by Stuart Hale who has over 18 years experience in the grounds maintenance and landscaping industry. He has worked hands on as well as running contracts for many local authority and large blue chip organisations. 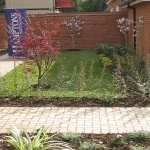 Stuart started Sycamore Landscape Service back in 2005 and has grown the business to provide both maintenance and landscaping services to property and housing developers, corporate head offices and sub contract services to local authorities as well as domestic and residential clients. We pride ourselves on working closely with our clients to ensure we deliver a reliable and professional "value for money" service tailored to suit their individual requirements. Our operating staff are qualified to the highest standards holding either City & Guilds or NVQ qualifications, and undergo training to allow them to remain up to date with new developments within the industry. We at Sycamore understand the requirement for stringent Health and Safety measures and are able to provide a comprehensive Health and Safety documentation for any of the areas we provide services for. © 2019 sycamorelandscapes.co.uk | template by styleshout | maintained by Hurrell IT and Networking Ltd.